Who of us hasn’t felt like this when it’s time to bill for CPT code 95165?! We know the incredible value of allergen immunotherapy – allergy shots vastly improve our patients’ health and transform their lives! They’re a mainstay for us – allergy shots make up a significant percentage of our patients’ treatment plans, and therefore, our practice’s income. 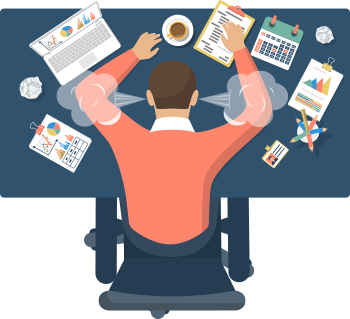 So when we run into all sorts of confusion when billing for extract prep, well, that’s when we want to bang our heads on our desks, right? 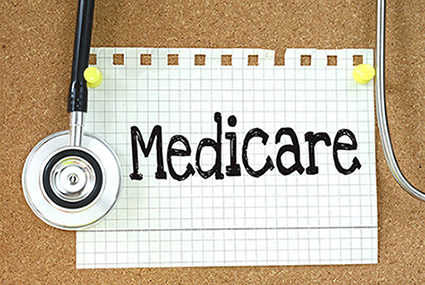 Medicare’s rules differ from most commercial carriers’ rules, with Medicare interpreting CPT code 95165 one way and private payers another. In addition, private payers come up with reimbursement limitations all their own. 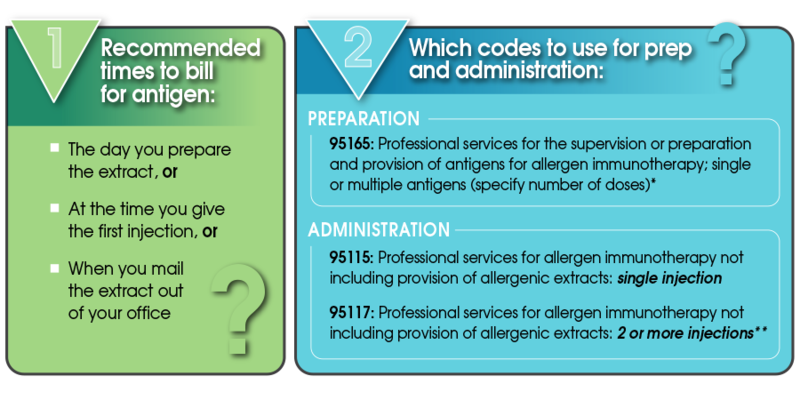 It just seems like there’s no end to the questions allergy practices have related to billing for extract. If this sounds all too familiar, rest assured you’re not alone. 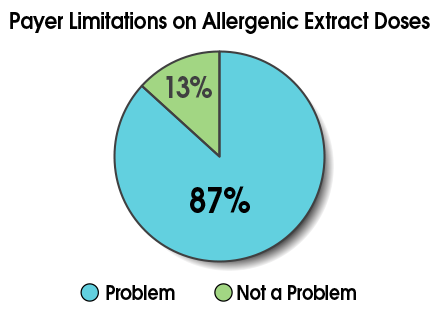 In a recent College webinar on code 95165, 87% of participants indicated payer limitations on doses of allergenic extract were a problem for their practice. Along the way, you’ll practice your coding with a quiz and walk through some common scenarios for extract billing. We have a lot to cover, so let’s get started! *CPT 95165 is the code to use for extract preparation, regardless of the number of antigens included. Whether you have one or 10 antigens in the vial, the code to use is the same. **When using CPT 95117: Whether you’re giving two or 10 injections – the correct code is 95117. No additional units can be added for additional injections. Okay, so that’s the simple stuff! Next, let’s wade into the more complicated areas, beginning with Medicare’s rules for code 95165. And remember, this definition applies to billing units only! Medicare is not defining treatment. Let’s look at a couple examples of Medicare’s definition in action. Say your provider prepares a 10 cc multidose vial at maintenance strength. For reimbursement purposes only, Medicare would consider this 10 doses/units. That’s straightforward enough, so let’s change this up a little. Let’s imagine your dosing schedule calls for you to administer maintenance level injections of 0.5 ccs. Would you bill Medicare for 20 doses? No, Medicare doesn’t allow this. Instead, you’d still bill Medicare 10 units/doses of extract with the 10 cc vial. 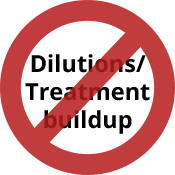 One final Medicare rule to be aware of with code 95165: Medicare does not cover dilutions or treatment buildup. They cover maintenance treatment only. All right, now let’s head into the slightly deeper waters of Medicare’s Medically Unlikely Edits (MUEs). The MUE for 95165 is the maximum number of services per day that is reasonably expected. How does this impact code 95165 – as well as 95144? For these codes, Medicare has assigned MUEs of 30 units per day per patient. (Remember, the Medicare definition of a unit/dose is 1 cc/ml at the maintenance level, not CPT’s definition of a dose.) And in many states, Medicaid and some private payers have also adopted this limit of 30 units/doses per day. Now, the MUEs are not Medicare’s coverage policy. However, claims with more than 30 units in a single day are considered “medically unlikely,” and they may be denied in their entirety. To pursue payment, you’ll usually need to appeal and provide extra documentation. Note: since we don’t bill Medicare for dilutions, the 30 units represents a patient getting three 10 ml vials of extract. At the maintenance level, this typically equates to 10-20 treatment doses from each vial, or 30-60 treatment doses total. The good news is if a provider bills fewer than 30 doses for a patient on a given date, the Medicare MUE is not triggered. If contractors have evidence (e.g. medical review) that UOS (unit of service) in excess of the MUE value were actually provided, were correctly coded and were medically necessary, the contractor may bypass the MUE for a HCPCS code with an MAI (MUE adjudication indicator) of “3” during claim processing, reopening or redetermination, or in response to effectuation instructions from a reconsideration or higher level appeal. Since MUEs are coding edits rather than medical necessity edits, claims processing contractors may have units of service edits that are more restrictive than MUEs. In such cases, the more restrictive claims processing contractor edit would be applied to the claim. Similarly, if the MUE is more restrictive than a claims processing contractor edit, the more restrictive MUE would apply. So, just be prepared – your MAC could decide in your favor...or not. If you go over the MUE-triggering dose of 30 units in a single day, you may be on slippery ground as far as reimbursement is concerned. What has your experience been with MUEs? Okay, let’s take a little break from Medicare’s rules about code 95165 and look at what commercial payers often do. Reimbursement for code 95165 looks brighter with commercial payers. Why? Unless private payers have specifically adopted Medicare policy, it doesn’t apply to them. You can bill private payers using the standard CPT definition of dose: "the amount of antigen(s) administered in a single injection from a multiple-dose vial." There’s still one thing to watch for: payers can set their own policy limits, and the limits will vary by payer. So, how do you determine what these limits are? Unfortunately, they’re not always available on the carrier’s website, and a phone call with the carrier’s representative may not shake them loose either. You may have to learn about them through trial and error (denials you’ve received on previous claims). Sometimes it’s easier to see key differences when you line things up side by side. So let’s do that now with Medicare and commercial payers. Here’s the scene: You’re mixing three separate vials of antigen treatment sets. The maintenance concentration vials have 5 ml each. You anticipate the total buildup and maintenance doses from each vial set will be 40. So your total doses for three sets will be 40 x 3 = 120. How does Medicare compare to commercial payers with code 95165 billing? Wow! That’s quite a difference, isn’t it? Medicare allows you to bill for only 15 units, while commercial payers without a per-day limit allow you to bill for 120 units. Of course, some commercial payers will have 95165 edits limiting the number of doses billed per day (or annually). If there are daily limits, you should not bill in excess of the carrier limit on a given day. You might be wondering, “But can I bill on separate days instead?” It depends on the payer’s policies. So be sure to check your payer contract to see if this is allowed. 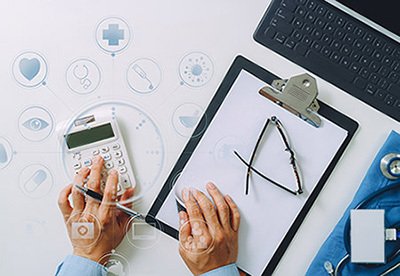 To help you get the hang of the Medicare versus commercial payer difference in 95165 billing, try your hand at this little quiz. Scenario: You’re mixing three separate vials of antigen treatment sets. Maintenance concentration vials have 5 ml each. Buildup will last 13 weeks with injections twice a week. Maintenance will last 39 weeks with injections every other week. How many doses should you bill Medicare? Maintenance doses only: 15 doses (Correct! Medicare defines a dose as 1 cc of extract at the maintenance dose level. 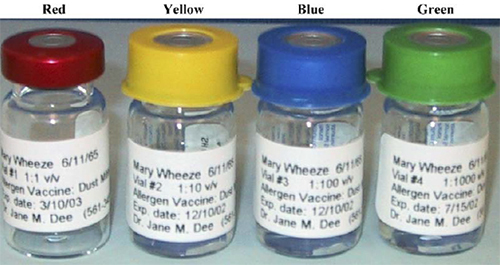 In this scenario, there are 3 vials of 5 ml each. So 3 x 5 = 15. How many doses should you bill a commercial payer with no per-day limit? Total buildup and maintenance doses: 138 doses. (Correct! You should bill for all buildup and maintenance doses. Unless specified otherwise, commercial payers follow the standard definition of a dose: the amount of antigen administered in a single injection. Maintenance doses only: 15 doses (Incorrect. You should bill for all buildup and maintenance doses. Unless specified otherwise, commercial payers follow the standard definition of a dose. How many doses should you bill a commercial payer with 95165 edits limiting the number of doses billed per day to 30? We’ve certainly spent a good deal of time looking at the rules regarding code 95165 – from both Medicare’s and commercial payers’ perspectives. Now let’s see things from the allergist’s point of view. What’s reasonable from a medical viewpoint, and what can allergy practices do when individual claims are denied or a commercial payer’s limits are unreasonable across the board? Please click each of the boxes below to reveal the answers. What are reasonable limits for immunotherapy? Buildup Therapy: A reasonable coverage policy for allergists during the first year of immunotherapy would be in the range of 140-150 doses. Maintenance Therapy: A coverage policy for allergists which says at least 90 doses per year is reasonable. What should you do if an individual claim is denied? Review the "Advocacy Council Talking Points to Address Payer Limits on Allergy Immunotherapy" so you have all the info you need to make your case. Call your provider services representative and politely plead your case. Ask for a peer-to-peer review with another allergist. All of this only gets one claim paid. If you find this is a global issue, you need to take other steps (see next point). What if a commercial payer's limits are globally unreasonable? Coordinate activities with your state or regional allergy society. Local organizations, rather than national, are usually more effective when working with insurers at a local level. Third parties will more likely meet with someone representing allergists in the state, rather than one physician representing one practice — especially when discussing a global change in policy. Request a call, or better, an in-person meeting with the medical director. Contact the Advocacy Council for guidance at advocacycouncil@acaai.org . We can provide talking points, advice and more! What has your experience been with commercial payer limits? How has the Advocacy Council helped you with appeals? Anyone who has had to bill with CPT code 95165 knows there seems to be no end of questions! Here are some of the ones we’ve seen most frequently asked – hopefully, you’ll find answers to your questions here. Q: If the number of units prepared exceeds the carrier’s allowable limit, can we bill the patient for the extra doses? It depends on the rules of the insurance company for balance billing; check your contract. Q: If the patient has local or systemic reactions during buildup and the extract needs additional dilutions, can we bill the insurance? Can we bill the patient? Commercial payers: Yes. Bill insurance just like you would for any other extract you mixed, and document in the medical record when and why it was done. If the insurer denies payment, check your contract to see whether you can bill the patient. Medicare: No. Medicare does not pay for dilutions. Q: What are our billing options if we have to remake new vials for patients for reasons such as: noncompliance in getting their shots, missed shots because of illness, or someone in the office dropped and broke vials? Can we bill insurance for extra doses? Can we bill patients for extra doses? If a patient is noncompliant, you can bill insurance the same way you’d bill any other doses. Just be sure to document why the extra doses are needed. If the insurer denies payment (for example, if it exceeds the annual limit), then review your insurance contract to determine whether you can bill the patient. You should not bill for dropped or mishandled vials. Q: Are mailing costs billable to insurance? To the patient? Typically, insurance companies won’t pay for this. And though it’s technically okay to bill the patient (as long as your contract doesn’t exclude this), it could create bad will. 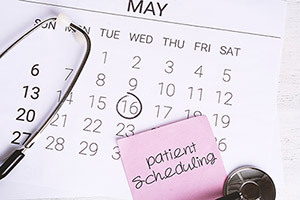 If you do choose to bill your patient, be sure to explain why in advance to mitigate an unpleasant surprise. Q: One of our patients discontinued treatment after receiving only two injections. Per our office policy, he signed an informed consent regarding the procedure, schedule, risks/benefits, and financial responsibility prior to initiating treatment. The insurance carrier applied the extract’s total cost to the patient’s deductible. Are we justified in pursuing payment? Yes, unless your contract excludes this. Q: Can we bill for mixed vespid venom immunotherapy (95147) and inhalant allergen immunotherapy (95165) on the same day? If so, what’s the correct administration code? Yes, you can bill for mixed vespid (95147) and inhalant allergens (95165) on the same day. And the CPT code is 95117 for administration of both venom and inhalant allergen extracts. However, remember you can’t bill for both 95117 (two or more injections) and 95115 (single injection) on the same day. Q: Can we bill allergy injections and a flu shot on the same day? Allergy: 95165 x # of units; and either 95115 or 95117 for administration of injections. Flu vaccine: Appropriate influenza and administration codes (see Influenza Vaccine FAQs in the College’s member-only Coding Toolkit ). Do you feel like you have a better handle on billing with code 95165 now? Did anything you learned surprise you? Here’s a quick matching game to recap what you’ve learned in this module and help you focus on what steps you might want to take next. The ins and outs of billing with code 95165 can be tricky, but you know your way around it a lot better now. Remember, the more you can secure the reimbursement your practice is entitled to, the better care you can give your patients! ACAAI Member Coding toolkit: college.acaai.org/coding underwent a major update in May of 2018 – and we continue to add new information all the time! Includes a new FAQ section sorted by topic. This should be your first go-to when you have an allergy/immunology coding question. Includes an interactive ICD-10 code-it quiz, which presents different A/I coding scenarios. This is perfect for new allergists, NPs and PAs who need to learn ICD-10. College members can contact the Advocacy Council with coding questions at advocacycouncil@acaai.org. ACAAI, "Understanding Medically Unlikely Edits ."